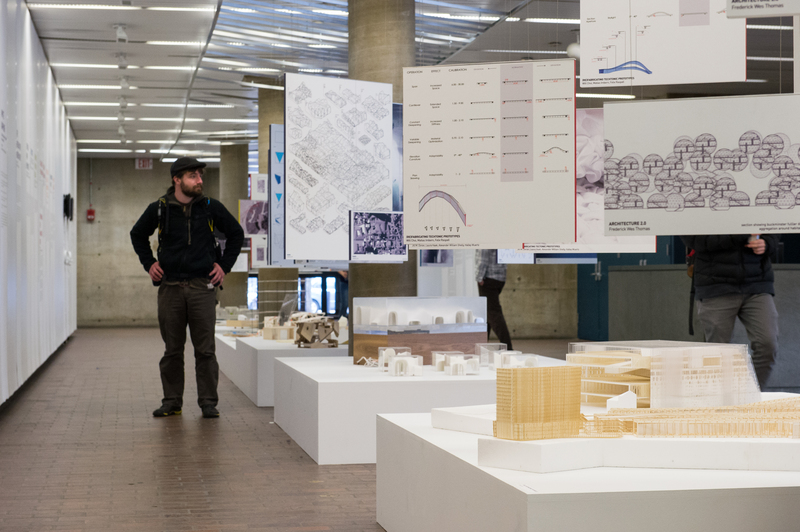 Wowing audiences with cutting-edge installations created on modest budgets, the GSD exhibitions team stages five major exhibitions and sixteen smaller ones throughout Gund Hall each year. Nearly 1,000 people pass through these exhibitions daily, and in even greater numbers when lectures and other events bring standing-room-only crowds to adjacent Piper Auditorium. 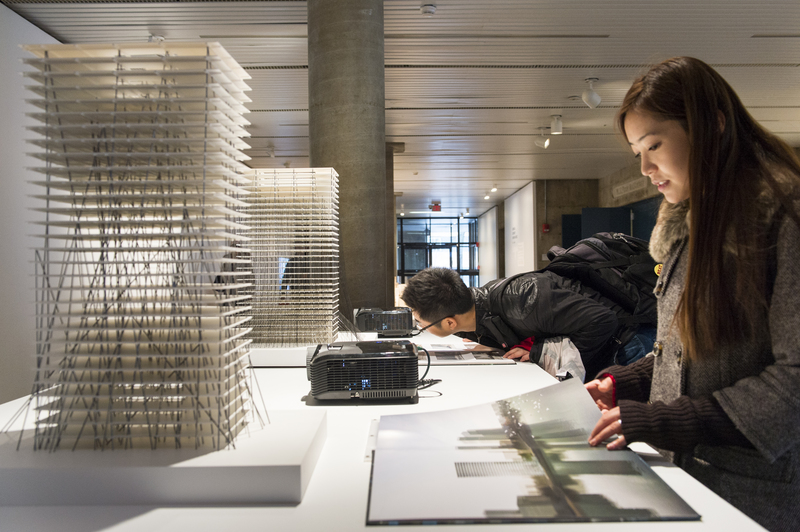 GSD students take a close look at the Contrast and Continuity exhibit curated by Swiss architect Christian Kerez, the 2012-2013 Kenzo Tange Visiting Chair in Architecture and Urban Design. Bringing to light the GSD’s expansive body of knowledge is Director of Exhibitions Dan Borelli MDesS ’12. After a decade on staff at the GSD, Dan broke with convention in 2010 to join the student body as a Master in Design Studies student concentrating in Art, Design and the Public Domain. 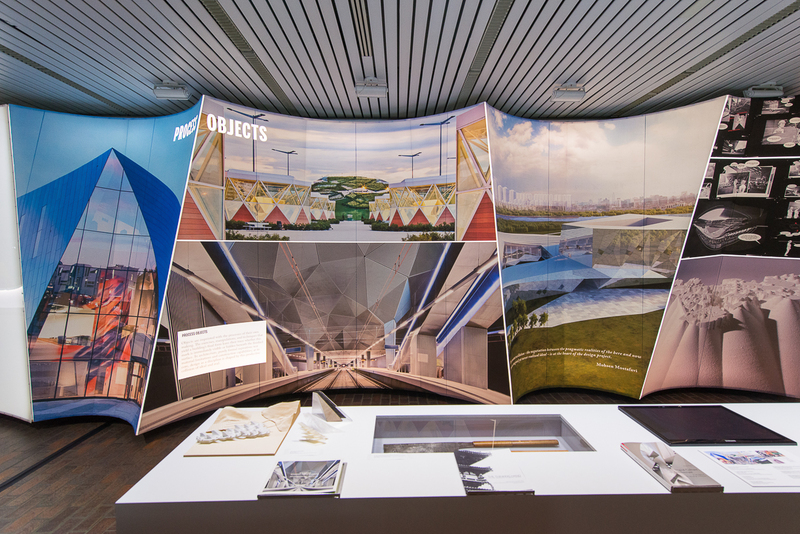 Working with architectural theory and criticism professor Sanford Kwinter, he studied the social history of color and the role of color in 3D design. 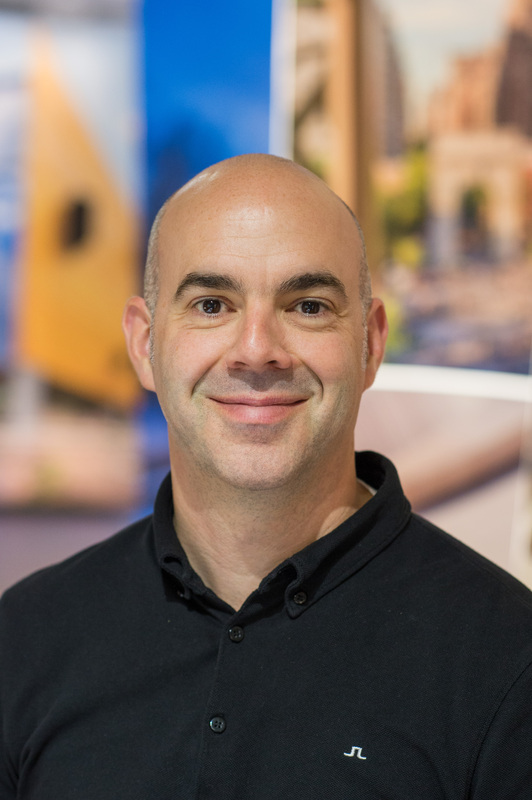 Dan has put his MDes education into practice for the GSD by translating and presenting the School’s design research and pedagogy through exhibitions and publications. In doing so he helps the GSD to fuel the global discourse on design and articulate the School’s commitment to design as an ongoing practice rather than a fixed body of facts and principles. Translating the intensity of academic work for a broad audience in this way is no easy charge. That’s why the GSD is committed to securing funds that support the exhibition program. Deeper financial resources will allow the program to respond to provocative opportunities and have profound effects on the School’s ability to showcase the impact of its work. Help us spread the word about the value of design. Your contribution will help the GSD share our innovations with the world, and bring new and exciting ideas into the conversation.